BAH! I am really not a huge fan of the word ‘haul’, but synonyms for the word are really no better.. I guess I could say ‘order’.. BUT then again the word ‘haul’ is so widely used across the interwebs that I wouldn’t want to mess with what people know. /endminirant. I woke up today to find my ORDER from Dollar Nail Art sitting for me on the counter. My last five days have been pretty sad.. My favourite (I say this with heavy guilt because you should never play favourites when it comes to your ‘children’) rabbit has been starving herself. Needless to say we keep her upstairs with us and just watch movies and snuggle her to give her body warmth and entice her to eat her favourite treats. I felt horrible every time I left the house to go to work. Sorry.. Just had to toss that all out there. I have been sporting a sadface for five days now. Alright, on to the photo fun! Pretty excitng! I cannot wait to test these bad boys out.. Plus I think they will last for quite some time. 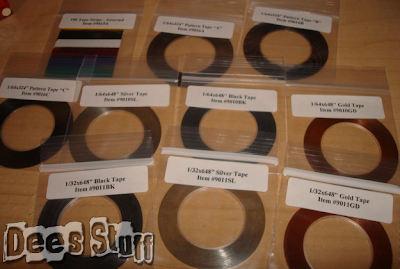 Price is $8.50 for the Striping Tape Set. Next is the Laser Strands in Silver. I only ordered the silver because I wanted to try it out.. Plus I had already decided on all the striping tapes.. soo.. now looking back at the website, I really want the Rainbow Laser Strands as well!! You get 75 strips for $1!! Silver Dot Foil!!!! I have heard great things and not so great things about foil nails, but I knew I needed to try it myself!! 5ft of any transfer foil is only $1! Plus you can order the foil adhesive for $1 as well. I reaaaaally want to try this out, but sadly my foil adhesive froze during delivery, so the consistency will never be workable. They included a piece of paper warning that this could happen and I just have to contact them and they will reship. I will contact them, but I don't know how long I can wait.. To be honest, the adhesive smells like Elmer's glue.. I might just get creative on my own.. You never know!! Super cute! Again, something I cannot wait to try..
Laser Lace Hot Pink and Lime have already stolen my attention completely!! I seriously want to slap on some polish and play with the lace but I am trying to wait until tomorrow just in case my TD order comes in so then I can use a new colour. I have a feeling that it won't happen.. Sigh. OK! Sorry for that year long post, I just had to share this with all of you.. I have posted links all within this post, but just in case my 'subtle' hints weren't working, you can go to http://dollarnailart.com/ to check it out for yourselves! And no, I did not get sent these items for free, I paid for them and am just raving as a completely happy customer!! Her name is DJ which stands for Dewey Jr. because she looked exactly like her dad. The only difference was her size and that little white crescent of fur on her side. Looking at this picture is making my eyes all misty because right now she is literally skin and bones and it breaks my heart. She was always my go-to snuggler.. She wouldn't snuggle with anyone else.. And now I am probably going to lose her. If any of you ladies (or gents) out there have pets in your life, I want you to go give them a hug or a kiss (or both!!) and tell them that you love them. I am going to go do the same to mine. Great haul, I can't wait to see what you do with all of that! Hello, I'm so sorry to hear about your rabbit. She looks so sweet in the photo. 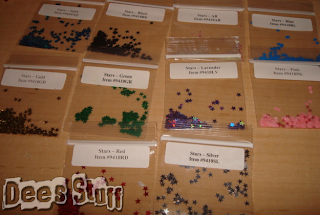 Cool nail art supplies,they should be fun to work with. How does the laser lace work? Just on nail polish or can it be put on gel? I think it looks so cool!!! I like the foil as well and have no idea how it is used. I checked you tube for the laser lace but there was only one in dutch. 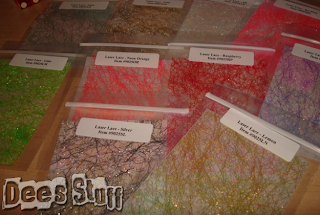 Laser Lace can be encapsulated in gel or acrylic, or just applied to the natural nail. :) The foil is applied by using an adhesive. You press the foil and when it is peeled off, the pattern stays on the nail! ;) Hope this helped!